Show your love. Unique gift of precious beauty, send them to your special someone. 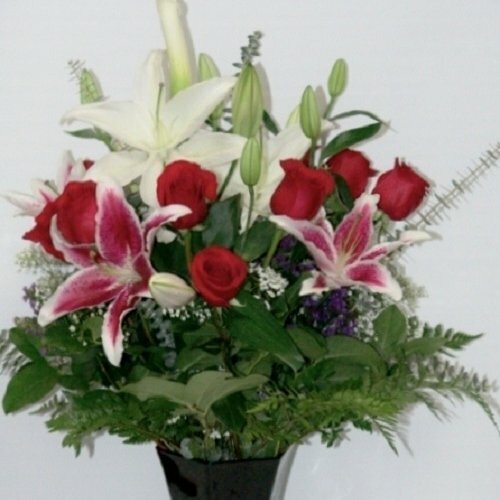 Red roses arranged with white Lilies and gypsophilia, and lush greens. Standard Bouquet includes 15 stems. Deluxe Bouquet includes 22 stems. Premium Bouquet includes 28 stems.